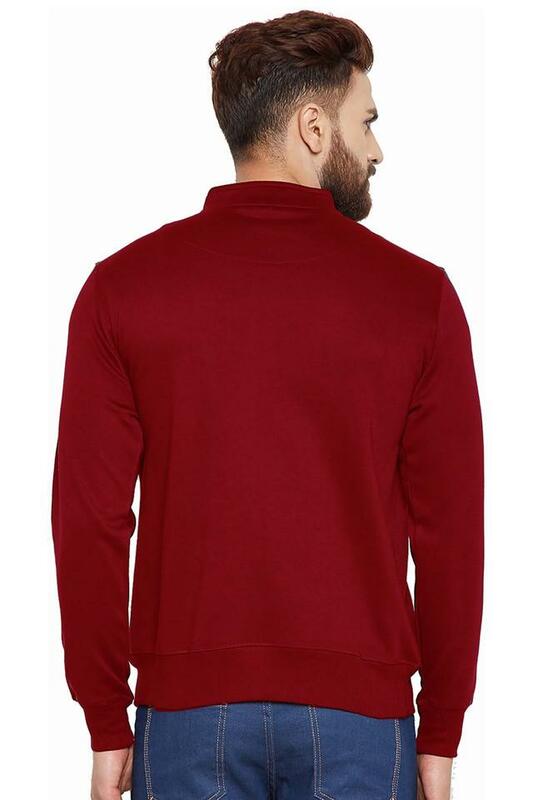 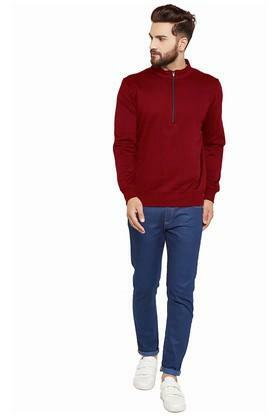 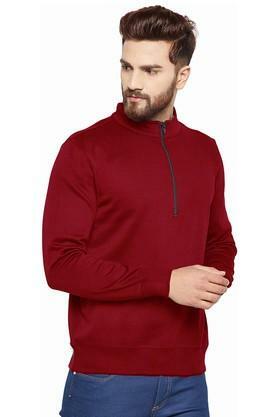 Refresh your winter collection with this sweatshirt from Hancock. 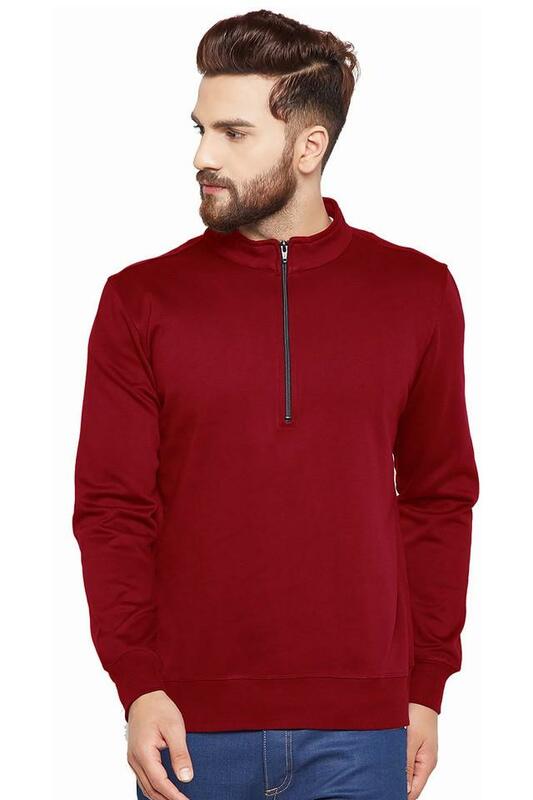 It is made of a poly cotton fabric, which will keep you warm and cozy at all times. Featuring a zip through neck, full sleeves, and solid pattern, this sweatshirt holds a superlative appeal. Keep your winter look simple yet stylish as you wear this sweatshirt. Team this sweatshirt over a t-shirt along with a pair of contrast denim and loafers for a chic look.